Although only few weeks have passed since Samsung introduced the first smart watch from the Galaxy Gear line, allegedly already in early next year we could be seeing his successor. Looks like they just wanted to publish their first version of the device just before Apple did, so now they plan to publish an improved version. 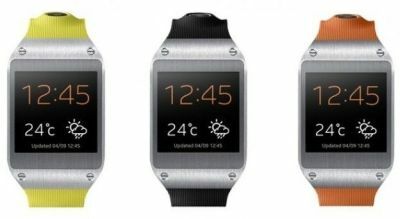 According to South Korean site Media, Galaxy Gear 2 is currently being developed, and as the novelties comparing to the existing version it will have integrated GPS, improved battery life, and support for multiple devices based on Android. Specifically, the current Galaxy Gear can be used in pairs only with Galaxy Note 3. Apparently the new Samsung smart wach could be unveiled at the Consumer Electronics Show (CES) in January or Mobile World Congress in February. Looks like we will have quite a lot of smart watches coming in very near future, are you ready to follow a new trend?